I’m excited because this will be the first weekend I have not spent in work for what seems like a year and I am down in London to take part in the Japan Foundation Touring Film Programme to watch My Little Sweet Pea and Bolt from the Blue. Just before that I’ll be visiting the National Gallery (hope the MA strike goes well!) and Royal Academy. At the time this post goes out I got those films and art exhibitions still to come. I have already watched quite a bit. I’ve added to the films viewed list I started after watching the Swedish crime thriller Headhunters (2011) and the Adam Curtis documentary Bitter Lake (2014). I posted a review of Greatful Dead (2013) earlier this week and I’m struggling to get back into posting news about anime but I’m still watching hours of content. What’s programmed for Japanese cinemas this weekend? Director and writer Eiji Uchida is one to watch. With this film has created a title that defies expectations. Through his careful control of the film’s tone and its story full of death, religion, and sexuality gone awry, Greatful Dead is a real surprise that will keep audiences guessing which way it will go as we follow the central protagonist on her dark and twisted path fuelled by a personality warped by neglect. 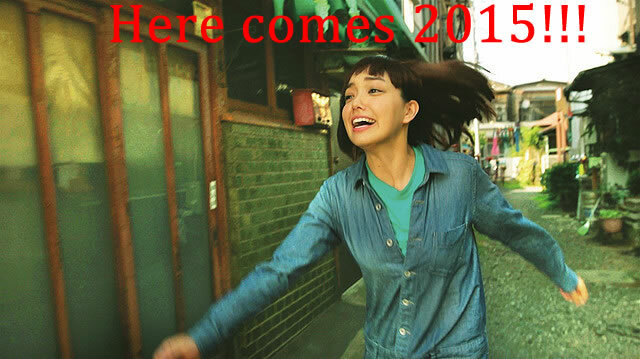 Comparisons will be made with Sion Sono’s films Love Exposure (2008) and Noriko’s Dinner Table (2005) because of the themes and social commentary on individualism and the breakdown of family dynamics and the way these elements are brought together in a story about how loneliness drives people crazy and those comparison will be richly deserved. 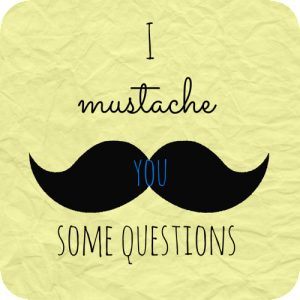 Hello dear reader, I hope you are well! The weather has been pretty frosty where I am but nothing too serious but I still spent most of my week indoors either at work or at home which is good for viewing movies. 2015 has been about a lot of films for me and my list of films watched has expanded by two. Earlier this week I viewed The Driver (1978) and God Bless America (2011) added to my tally. The Driver was my favourite of the two. It stars Ryan O’Neal who plays a cold getaway driver for hire in the LA underworld who has a detective obsessively chasing him played by Bruce Dern. 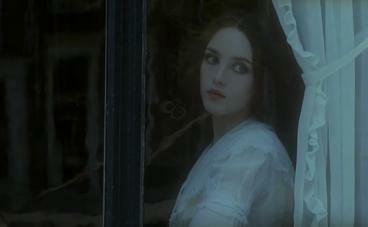 He gets mixed up with a beautiful lady played by the gorgeous Isabelle Adjani who was last reviewed here for the vampire film Nosferatu the Vampyre, directed by Werner Herzog. Any excuse to use a picture of her… The two are stuck in a set-up orchestrated by the police that results in a film that was full of great car chases. It was interesting to see how much the 2010 film Drive took away from it. 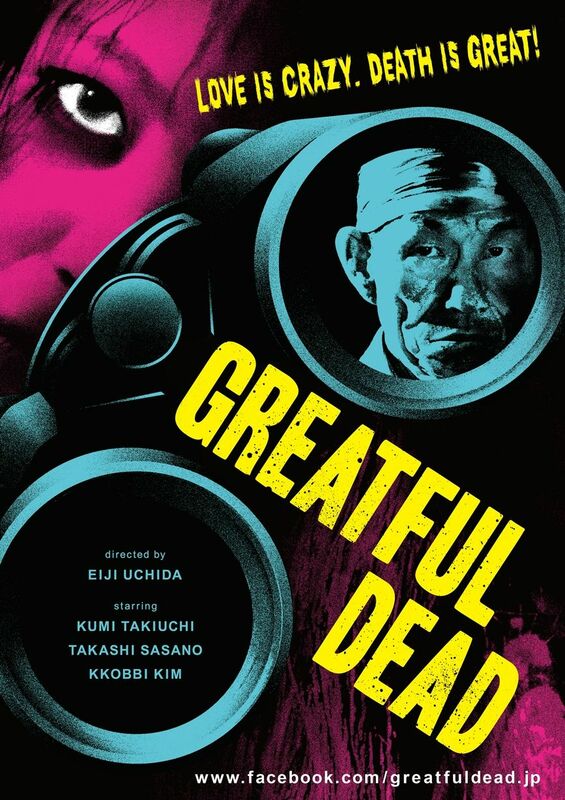 I also re-watched Greatful Dead (2013) as prep for the review which is published next week. The film gets its UK release courtesy of Third Window Films (which I posted about) and I think it’s excellent. As well as posting about the release, I also answered some questions from ace book-blogger Lynn which gives readers a tiny bit of an idea of who I am. I’ll be adding on to the list of films I have watched this year. This time next week I’ll be in London for the Japan Foundation Touring Film Programme (my preview here) and the Rubens exhibition at the Royal Academy. What’s released in Japan this weekend? Lots of foreign films an this set of Japanese ones including one by Ryuichi Hiroki. Third Window Films are starting this year with something deliciously dark Greatful Dead, a film that was at the 2013 Raindance Film Festival where I didn’t get to see it but overheard numerous audience members raving (and I mean, they were getting hyper about the film and going into detail) about how good it is. I have a copy I’m writing a review for so you can find out what I think next Monday when its release on January 26th! Every weekend over the last few years I wrote down the titles of most of the films I watched but never really got around to making a list so this year I will. I was inspired to do so by Lynn who listed all the books she read. So far in 2015 I have watched five films. I started this week watching the George A. Romero film, Survival of the Dead (2009) which had plenty of inventive zombie kills and then the Hitchcock thriller Suspicion (1941). I then followed that up with the indie sci-fi Primer (2004) which was more talk and time travel and no action. In anime terms, Yurikuma Arashi, Samurai 7, Ghosthound, Death Parade, JoJo’s Bizarre Adventure: Stardust Crusaders Battle in Egypt and Rolling Girls. After the awful run of anime I watched last year I’ve stopped writing first impressions and will stick to series reviews dotted amongst the film reviews. In terms of the blog I posted about the films from last year that I really want to see and went gaga over a glorious selection of films at this year’s Rotterdam International Film Festival which looks so good it makes me want to head to Holland right now. The 2015 Rotterdam International Film Festival launches in just over a week and it will take place from January 21st to February 01st. Rotterdam has always been good for Japanese filmmakers with many like Sion Sono, Takashi Miike and Kiyoshi Kurosawa getting their films screened and receiving support. This year’s line-up of titles has some of their latest projects programmed as major films come to the end of a long festival run including Toronto which is where I got some of the trailers from. Of note is the appearance of Lisa Takeba who was at last year’s festival with The Pinkie. Her projects strike me as interesting and it seems that the programmers at Rotterdam agree because she is back with the world premiere of her latest, Haruko’s Paranormal Laboratory! 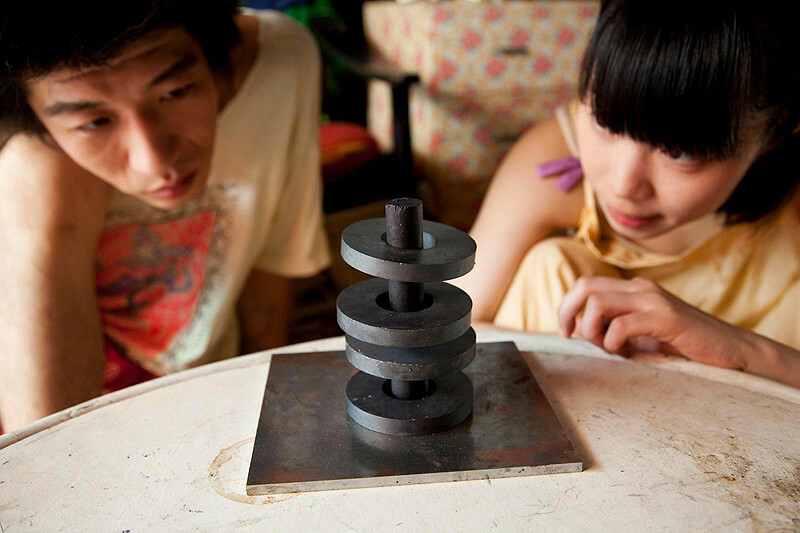 The line-up features a real variety in topic and tone making this Rotterdam a good one for fans of Japanese films. There are a lot that have toured other festivals but more which have not been widely seen so it’s worth looking at all of them to see if there are any that catch your eye! I post trailers of Japanese films released in Japan every weekend and some stay with me even months after their release has come and gone. Like last year I want to start the year by looking back at the trailers that make me wish these were films I had seen in 2014 and hope I can see in 2015. Just to jump back to the last list of films from 2013, out of the 14 films listed, I saw two – Patema Inverted and Fuan no Tane. Patema Inverted exceeded my expectations when I saw it at a cinema and I now have the Ultimate Edition home DVD/Bu-ray release that came from backing the Kickstarter campaign so I get the OST, art book and a variety of other extras. I’ll get a review of the film out before the end of January 2015! Fuan no Tane was a fun little horror film that did justice to the manga. You can read what I thought of it in my review. The other films I listed? Well, the chances of me watching some of them were slim since they were the indiest of indies and without major studio backing, film labels with lots of money or film festivals selecting them, they would have been unlikely to get a cinema or home release in the UK. Raindance and Terracotta would have been the best places to see them but they weren’t screened. I am kinda disappointed that I did not get to see Uzumasa Jacopetti, GFP Bunny, A Fairy Tale, and Shin Shin Shin so I’m going to start investigating ways of getting these films. My usual import routes don’t stock them… Other indie films I’m interested in cost around £20 so it’s not impossible, just expensive. It’s at times like this when I wish Japanese film and anime companies would embrace digital distribution because I know I’d make many purchases to build up my library (and regrets over spending so much). Hello dear audience! I hope you are well! Winter has finally arrived in the UK with cold temperatures, rain and powerful winds wracking the nation. That’s a good excuse to stay indoors when not going to work so this week I have had the pleasure of watching a whole lot of anime – Tokyo Ghoul season 2, Cute High Earth Defense Club LOVE!, Yurikuma Arashi, Jojo’s Bizarre Adventure: Stardust Crusaders Battle in Egypt, and Parasyte. Looking back on the TV anime aired already, there is a lot on offer for a wide variety of people and my weekly viewing is going to be packed. On top of those shows, I’m also watching Ghost Hound, Samurai 7 and The Real Ghostbusters. In terms of films I watched As Above So Below (2014), the Japanese horror film Greatful Dead (2013), and The 39 Steps (1935, Dir: Alfred Hitchcock) – I love this film and have it on DVD. I posted about the Japanese Film Posters from 2014 and started writing reviews for the anime I watched last year. What’s released in cinemas in Japan this weekend? 2014 has ended! Despite some melancholy, goodbye to all that! 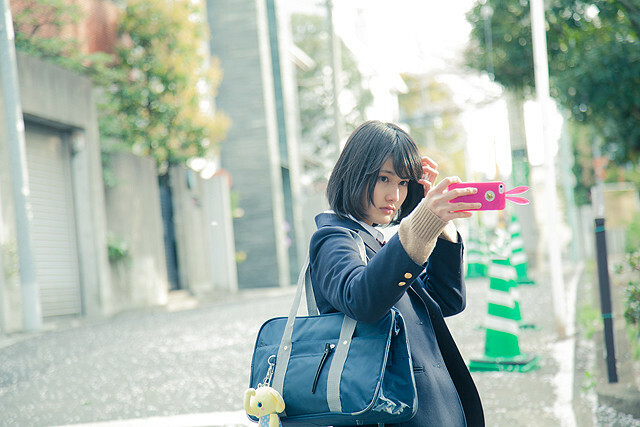 Every weekend I post about the Japanese films that are released in cinemas in Tokyo. The information is scavenged from a variety of different sites like PIA, JFDB, IMDB and ones dedicated to various film festivals. I find it interesting (although I sometimes wish I had some help to do it) and I love looking at the posters that are created to advertise the films.